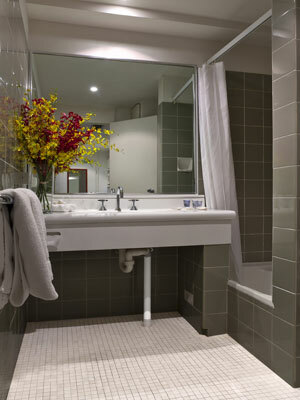 This Tourist level apartment hotel is situated in the inner Sydney suburb of Potts Point and is near to other Eastern Suburbs of Sydney such as Elizabeth Bay, Woolloomooloo, Kings Cross. Garden Island and Rushcutters Bay. 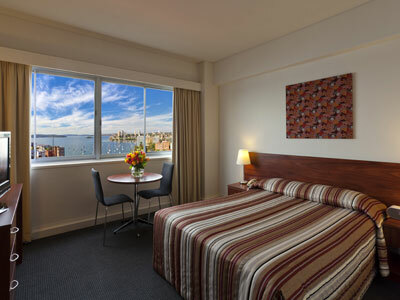 Macleay Apartment Hotel offers seeping views from its Harbour View Rooms across Woolloomooloo Bay at a very realistic price. 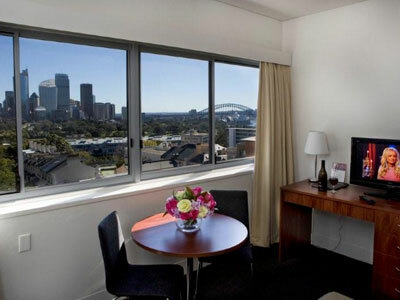 Offering captivating views of Sydney's city skyline, the harbour and its surrounds as well as distant glimpses of the Harbour Bridge and the Opera House from some rooms along with its relative proximity Sydney’s attractions such as Kings Cross and Circular Quay, the Macleay could be a well priced accommodation option for your stay in Sydney. 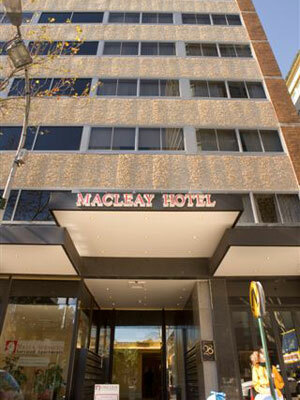 The Macleay Apartment Hotel is suitable for both business and leisure travellers on a restricted travel budget, who enjoy privacy whilst being five minutes away from the city. There are 126 rooms ranging from two bedroom apartments, district view queen, double, twin or triple and harbour view queen, double, twin or triple. 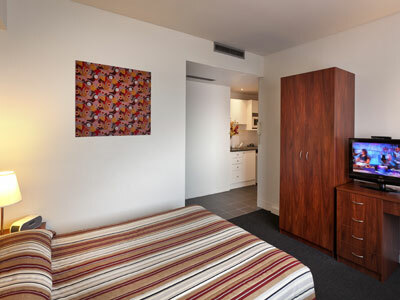 All rooms feature individual air-conditioning, fully equipped kitchenettes, high speed ADSL internet, flat screen TV, direct dial telephone, iPod docking station and writing desk. 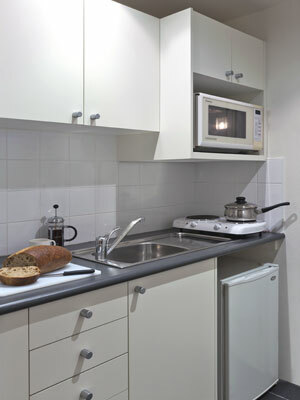 Standard amenities such as tea & coffee making facilities, iron and iron board and a hairdryer are also included. 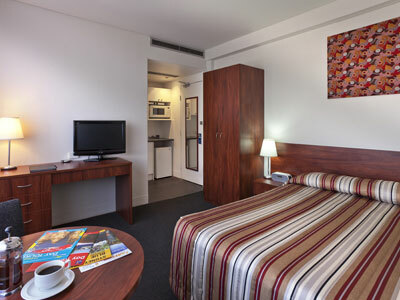 Opening windows are featured throughout the hotel and all rooms are serviced daily. Hotel facilities include 24 hour reception, restaurant and room service, guest DVD and book library, tour desk plus barbeque facilities and a pool and sun deck. As an added bonus Macleay Apartment Hotel provides its guests with free gym membership during their stay to a nearby gym offering classes in Pilates, yoga and kick boxing. Business services such as faxing, photocopying, email facilities and typing are available at an extra cost. There’s also a guest internet desk, baby sitting services, and newspapers available for an additional charge. Overall, a reasonable tourist accommodation option providing the freedom of some self-catering and the benefit of being slightly removed from the bustling city centre. 1 Double Bed + Single Bed.